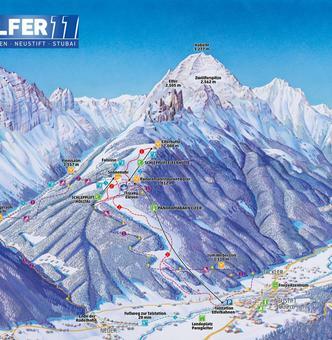 Natural snow pistes are the hallmark for skiing at the Elferlifte and attract ambitious skiers as well as snowboarders to this skiing area near Neustift in Tyrol. 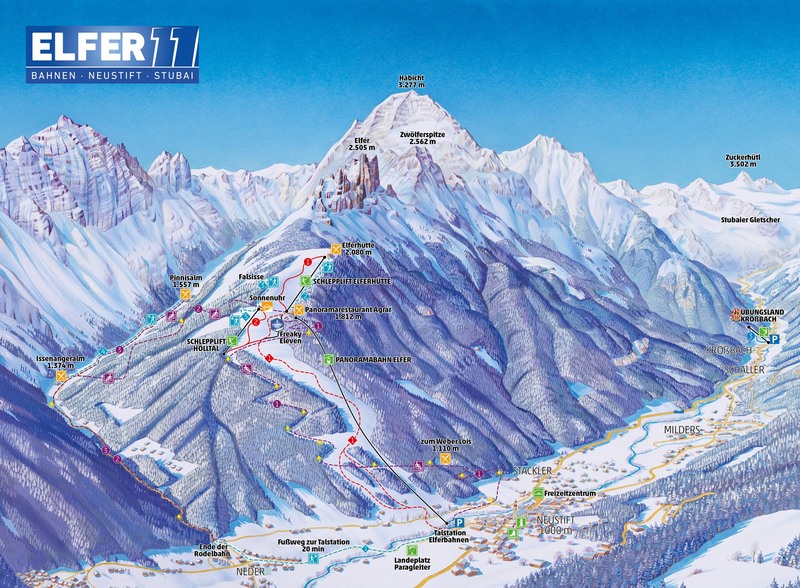 The challenging and perfectly groomed pistes guarantee finest skiing pleasure. A special characteristic of the Elfer is the long ski-slope down the valley. When snow conditions are good, this run down 1,000 metres in altitude offers sportive skiers an unforgettable experience. Here you'll find all information on our rates and operating hours in winter. The Elfer is a skiing area for sportive skiers. Please take care of weaker ones.